The Smart class is a comprehensive solution designed to assist teachers in meeting day to day classroom challenges and enhancing a student’s academic performance with simple, practical and meaningful use of technology. 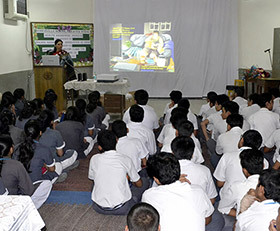 The Smart class program in Somerville School, Greater NOIDA is implemented by TataEdge. 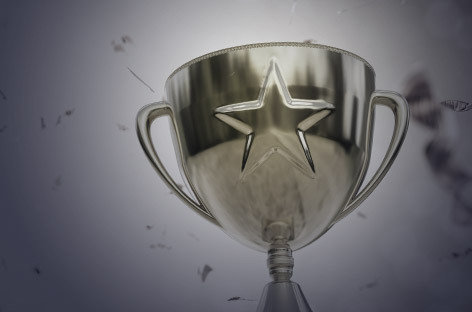 The content repository consists of thousands of highly animated, lesson specific, 3D and 2D multimedia modules built with an Instructor-led design that allows the teacher to effectively transact the lesson in a typical classroom of a diverse set of learners. The school provides an effective learning environment, which enables the child to understand the world around him, explore it and learn from it. 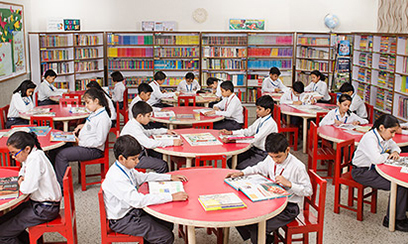 The school has two full-fledged libraries, one for the Senior wing and the other for the Junior Wing. Both the libraries have spacious reference and reading areas to benefit the students in their pursuit of knowledge. 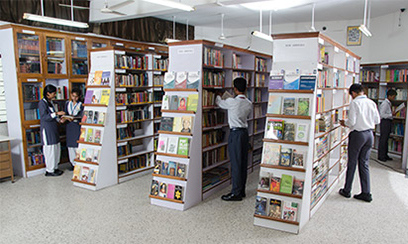 These libraries are well equipped with educational CD’s, Audio and Video Cassettes, large number of books on different subjects along with invaluable reference books which can be consulted in the Library. The students also have access to the latest Newspapers and Educative Magazines. 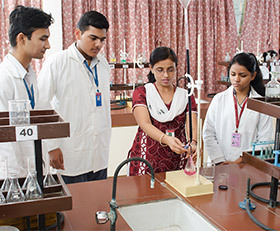 The departments of Physics, Chemistry, Biology, Computer Science, Mathematics and Social Science are provided with fully-equipped independent laboratories to keep the students in touch with the latest developments. Our labs are a wonderful place for children to nurture their inquisitiveness and enhance their scientific quests. 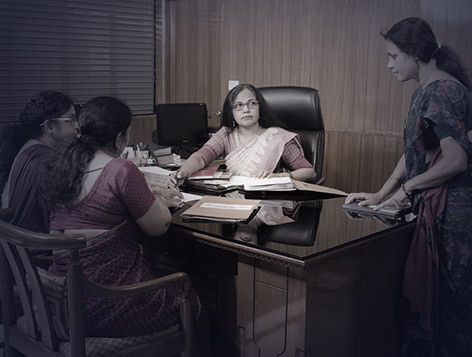 They offer a conducive environment for the teaching learning process. ‘Learning by Doing" is the mantra on which these labs function. Physics is a fundamental part of science. The most satisfying part of Physics is experimentation. 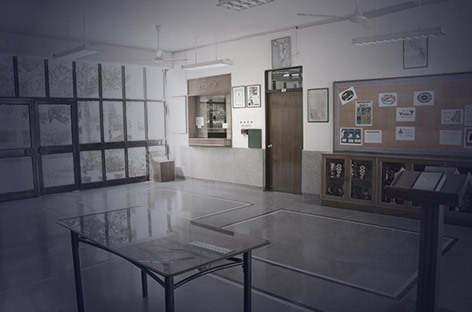 Our Physics Laboratory provides ample opportunities to the students for ‘Learning by experimentation’. The laboratory is well equipped with the latest equipments and can accommodate 40 students at a time. The Chemistry Laboratory plays an important part in allowing students to perform scientific experiments in the same way that professional scientists do. 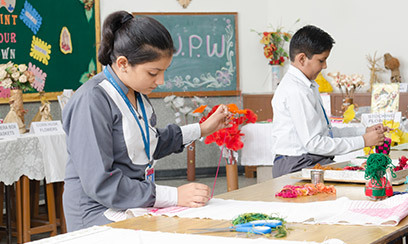 The School has a chemistry laboratory equipped with the latest state of the art apparatus and is well stocked with chemicals required for conducting practicals as per the CBSE guidelines. Our Chemistry Laboratory is well equipped with the proper equipment to perform effective experiments. The Laboratory has good quality glassware and chemicals. There are adequate arrangements to protect the safety of budding scientists. The emphasis is on giving ‘hands on experience’, to inculcate a habit of inquisitiveness and an opportunity to explore and give shape to new ideas. Here students learn about preparation methods, identification and estimation of chemical substances. A biologist always likes to be in the laboratory for internal joy, to satisfy his/her curiosity and to find the truth about the life around, be it animal, plant or a micro organism. To develop the same in our students, the Biology Laboratory is complete with all the equipments necessary. 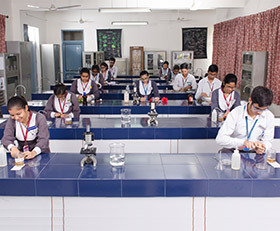 The students perform experiments and learn about the ‘wonder’ in every form of life. It is an amazing experience for them which they do not forget to share with others. The laboratory has a large number of specimens of plants and animals. The prize possession of the Biology laboratory is its computerized microscope. The laboratory thus provides a perfect environment for the young enthusiasts who work in it. 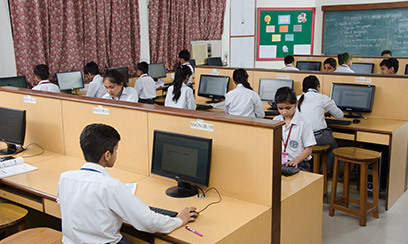 The school has two fully equipped Computer labs-the Senior and Junior Computer labs. Each child works independently on a computer. The machines and softwares are updated as and when new and better technology is available in the market. Both the Laboratories are equipped with Audio and Video facility where dedicated systems are connected to a Television through PC-TV Converter. The students of Classes I to V go to the Junior Computer Laboratory, where they learn and practice practically whatever has been taught in the class room. 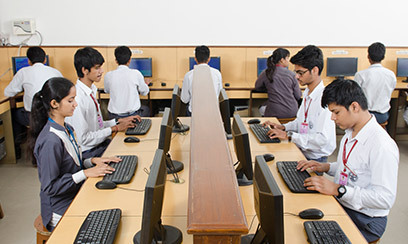 The students of Classes VI to XII go to the Senior Computer Laboratory where they work ‘Hands on Practice’ on Computer basics, Presentations, Programming, Projects, Web Designing and Animations. 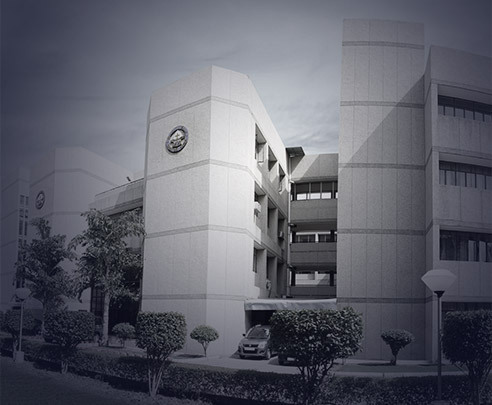 The school has a computerized Mathematics Lab managed by NIIT. The laboratory is a novel concept which enables students to learn and explore mathematical concepts and verify facts and theorems.. This revolutionary approach towards student-centric explorative learning, takes Mathematics Hands on, making the students learn the concepts in a fun & playful manner. The digital multimedia, colourful books, intriguing manipulative, interesting mathematical tools and charts make learning an immersive experience. In the age of globalization, our students are curious to know more about the location, job opportunities, lifestyle, and human development across the globe. Maps of various countries of the world and India in the Geography Laboratory quenches the thirst of the students to know the locational extent, and these are used to enhance the dimension of their graphical knowledge. The equipments of Aerial Photography, Remote Sensing and GIS are helpful to introduce the new techniques in Geography among the students. The weather instruments play a vital role to create the interest of students about Weather Forecasting, Monsoon, Precipitation, Humidity, Atmospheric Pressure and Winds. Models of the Interior of the Earth, Solar System and Volcanoes etc., encourages the creativity and imagination among the learners. It is the ‘Geography Laboratory’ which supplements the knowledge about the Directions, Local Time, Standard Time, International Dateline, Map Projections, Latitudes and Longitudes through the various other instruments and provides a sound base to the subject. It is said that Music can reach where the rays of the Sun cannot. It touches even the hardest of souls and is the continuous source of joy for the listener and the performer. The School wants every child to have the joy of enjoying music. We have both the Western and Indian forms of Music. There are separate rooms for the instruction of Vocal and Instrumental music. The students are taught to play instruments and sing in both the forms. The Music rooms (Indian and Western ) are equipped with instruments like synthesizers, guitars, drums, congo, sitars, tabla, harmonium, cajón etc. Dancing is the hidden language of the soul, our students are encouraged to express their emotions and creativity through the various dance forms taught in the School. Students of the School are taught various forms of dances from Contemporary to Classical including Folk dances and Western dances. The School believes that there is an artist in every child and children are naturally artistic. Keeping this in mind all the students are encouraged to develop their creative ability and express themselves through their Art and Craft. 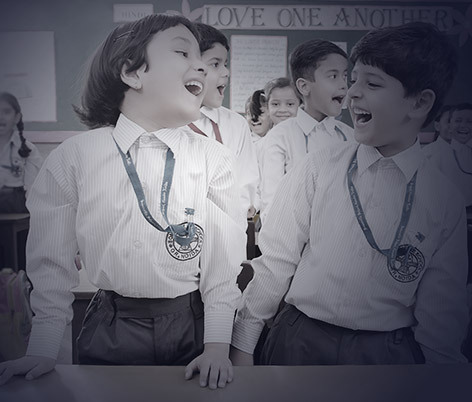 For the all-round development of students, this centre enhances the progress of a child by developing self confidence working on the basis of the child’s own experience, extending their understanding and discovering and satisfying their curiosity. These magazines, which are in the form of visual displays on prominent bulletin boards in the school, are meant specifically to keep the students informed on subjects of topical interest. Preparation for these magazines entails a great deal of research and involves the students in useful and productive activity which gives them not only an awareness of vital issues, thereby increasing their general knowledge, also educating them in different forms of art and craft. It helps to develop their aesthetic sense. The school plays an important role in enhancing educational competence as well promoting the psycho-social development of the children and adolescents. Today’s children have to cope with heavy syllabi and the stress of examinations. This often creates problems of loss of sleep and appetite, behavioral problems and declining academic performance. Our school offers specialized services of a full time School Counselor and Wellness Teacher for addressing academic, emotional and behaviour problems in children. 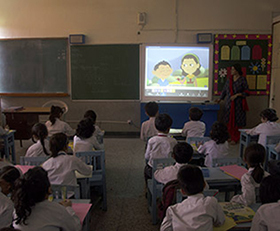 Keeping the safety of the students and staff in the School, CCTV with High Definition cameras have been fitted in every nook and corner of the School including the classrooms. There is a room where every movement is monitored carefully by a responsible person. 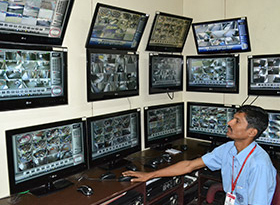 The CCTV In-Charge monitors, reports and maintains the important happenings in the School. CCTV cameras have been very helpful in monitoring the movements of the students. The Audi Visual Room specially designed for Power Point Presentations, Workshops and Seminars is spacious and well equipped with all facilities required for the meetings. It has the capacity to accommodate over 150 students. It has an LCD projector and a P.A. 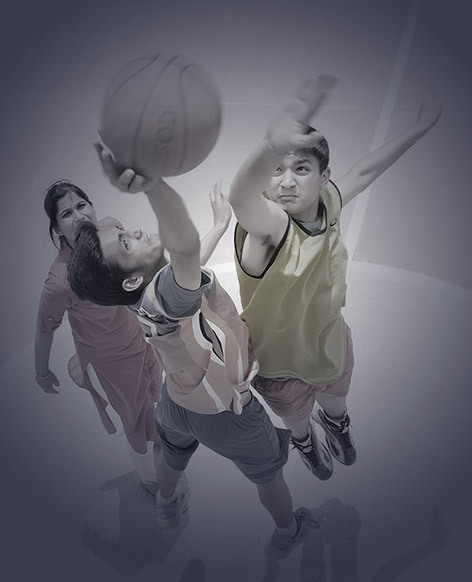 system permanently installed for the smooth functioning of the activities designed. The school also has a projection screen which is used to show presentations outside the A.V. Room. The school has an efficient and well-organized transport system consisting of its own fleet of more than 30 buses. 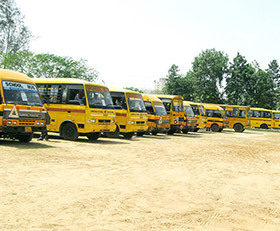 These buses offer school bus services to the children and teachers from NOIDA as well as from Greater NOIDA. The school has drivers and conductors who are well-trained and experienced. The buses leave the school only after the school teacher checks that each child who ought to be on the bus has actually boarded the bus. The transport in-charge and the teachers ensure the safety of the children. The School infirmary is fully equipped with medical facilities for the check-up of the students and a qualified nurse who attends to the medical needs of students. There is also provision for handling emergencies during school hours. Dr. Alok Bhatia MD (Paediatrics) has been appointed as the School Medical Officer. His address is mentioned below. A Canteen is functioning on the school campus where nutritious and hygienic snacks and fruit juices are available. Aerated drinks are not catered for. A well equipped kitchen offers a substantial variety of home cooked snacks under strict supervision. The canteen is cleaned regularly to maintain the hygienic condition.